UC Irvine Health is an academic medical center located in Orange, CA. Their annual revenue is $1.2 billion. Their main campus has 411 inpatient beds. UC Irvine Health has 90 large ambulatory clinics and over 1000 physicians. They serve about 3.1 million people in Orange County. UC Irvine Health is committed to bringing personalized, leading-edge care to their patients, and community. 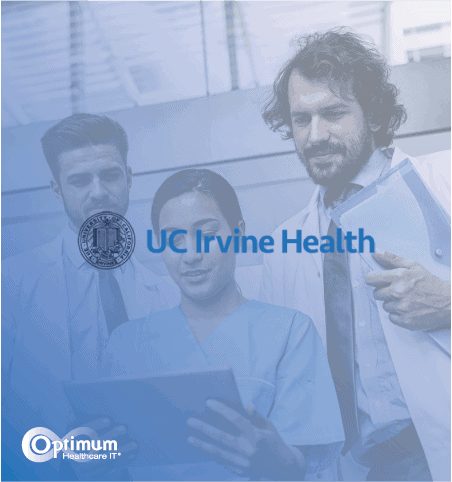 UC Irvine Health saves $6 million in security remediation costs, and an estimated $5-7 million in breach avoidance, in only 90 days, by using Optimum Healthcare IT’s Security Remediation solutions. In early 2015, UC Irvine Health had an independent audit firm assess the state of their security. On a scale of 1-100, they scored a 51. This was a wake-up call to UC Irvine Health Leadership. Chuck Podesta, CIO, estimates the potential cost of a data breach close to $7 million per incident. They planned to implement the recommended improvements over the next one to two years. 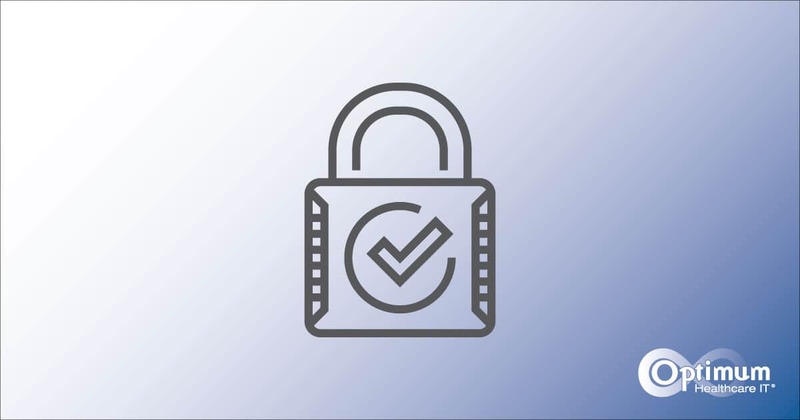 In response to an exponential increase in cyber activity and breaches across the country where 110 million people had their healthcare record breached in 2015, UC Irvine Health realized they could not risk the 1-2-year time frame of their original remediation plan. They knew they needed to get things done, the right way, as soon as possible. UC Irvine Health, with Optimum’s help, quickly gathered a team of a project manager, an experienced CISO, and skilled experts. In only 90 days they powered through the remediation plan requirements. Podesta estimates the shortened timeline saved ~$6 million. At the end of the 90-day project, Podesta brought the audit firm back for a second full assessment. UC Irvine Health’s score improved from a 51 to an astounding 89. “We are now in a much better place security-wise,” said Podesta. We needed to be confident that an IT security team could pull this together. Optimum gave us the results we needed. Earlier Score of 51 was Improved to an 89, in only 3 Months. Optimum was Able to Shrink a 12-Month Security Remediation Plan Down to 90 days. UC Irvine saved ~$6 Million in Remediation Costs. UC Irvine Health Avoided Additional Costs of $5-7 Million Per Incident.